To be honest, this post is a bit of an excuse to show you some new shoes I have bought recently. However, I also wanted to tell you which kinds of shoes are, in my opinion, essential. 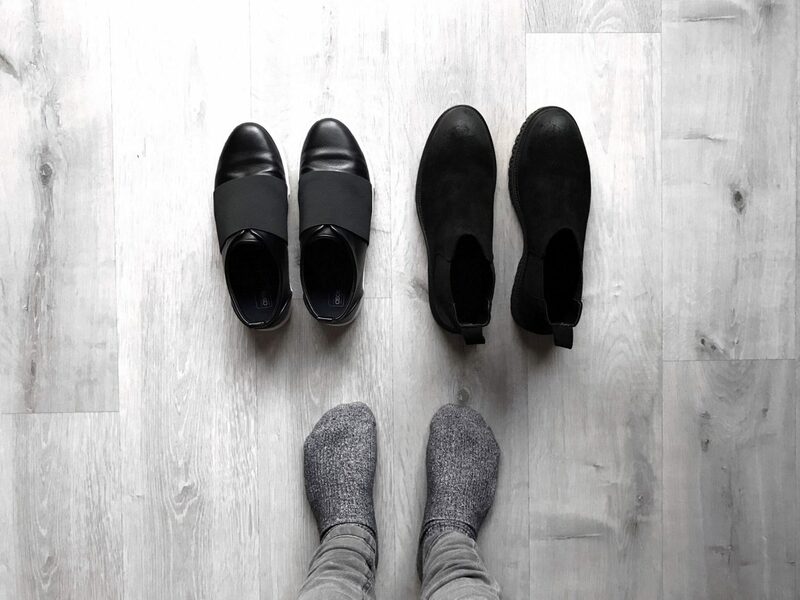 We all tend to stick to a certain type of shoe, normally trainer, but we all should have a shoe for each ocasion. They should be stylish and also functional, and we should be able to wear them for a long time. I strongly believe that we should invest in high-quality footwear that we can use at any time, and limit the cheapest shoes for trends. I am not the biggest fan of dress shoes. I am sorry about this, but I can’t get used to wearing them. However, we all should have a pair that we can use for certain events, such as weddings. Wearing a suit and a pair of sneakers should not be too shocking for you nowadays, but I think there are events that require a bit more protocol. Also, these shoes are essential if you work at an office, although there are some casual variations which will probably be more comfortable for you in case you need to wear them all day long. You should check Mr Porter’s website if you’re looking for a pair of designer dress shoes, and they’ve got some which are awesome. However, Zara is also perfect if you need a stylish pair of shoes but the price will be much more affordable. If you look for some informal ones, Dr Martens is the best option for you. Any kind of boot is a must-have, especially during winter. However, my favourite ones are Chelsea boots. I think they are the best ones because they are easy to put on and take off, unless you buy the wrong size of course. Also, they are perfect for both formal and casual outfits. Personally, I prefer suede Chelsea boots, although they get ruined quite easily. 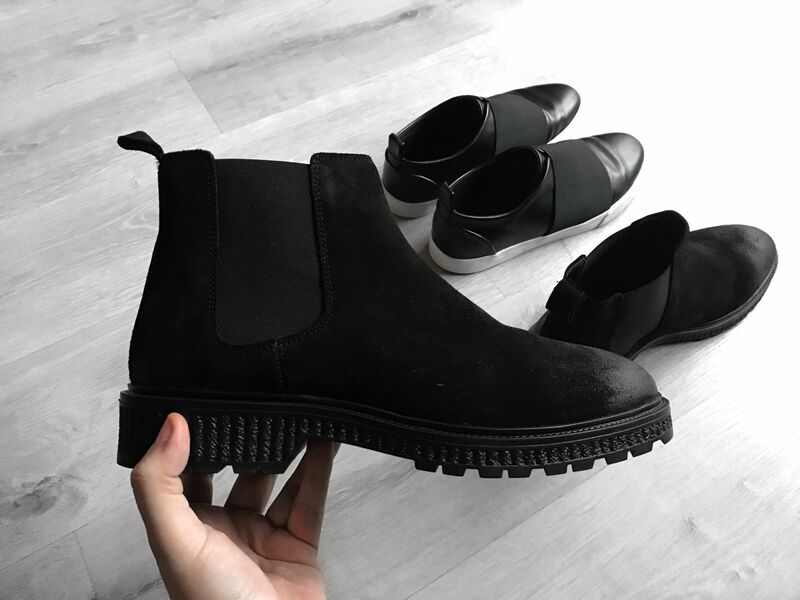 I also think it is very important to look for ones that have a thick sole and that are not slippery when it rains, such as the ones I bought the other day, as you can see from the pictures. This kind of sole is very trendy at the moment too, and they look sick in my opinion. These ones are from Zara and you can find them here. Low-Top sneakers are the best option when you want to be comfortable and you are wearing a casual or informal outfit. I would normally choose a monocolour pair. Neutrals are very trendy these days, and they are quite easy to wear, although white will always be the best option. There is something that I really love in a good pair of white low-top sneakers. 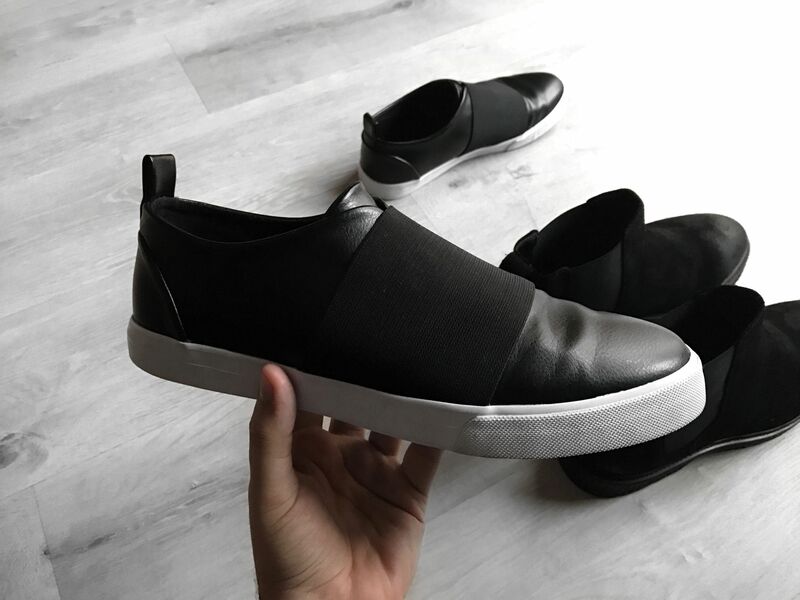 Personally, I think Common Projects is a really good brand for buying this kind of sneakers, but they may be a bit expensive. However, these sneakers are everywhere, so finding the right ones for you shouldn’t be a problem, even at a lower price. Converse is also a great alternative, although they are a bit more informal. Black sneakers are necessary for everyone. As well as the white ones, you can use them with almost any outfit, and with many different styles. They don’t need to be completely black, in fact, I prefer the ones with some details in another colour, especially white of course, so that it’s still easy to combine with my clothes. I guess it’s all about finding the ones you like. As you can see in the pictures, I bought a pair of white sneakers recently. They are from ASOS (here) and they are VERY cheap, although they are now sold out. Sneakers with elastic straps are also quite trendy. At first, I thought they were too weird, but now I believe it’s very cool and different. Also, the ones I bought are very comfy and very easy to put on and off. These are probably the most comfortable ones. They don’t necessarily need to be used for running, you can use them for your daily outfits. In fact, they are widely used these days, as many streetwear brands are becoming more and more famous. Has anyone said Yeezy? I personally love wearing them, and you can find an amazing range of colours, sizes and shapes. I personally love NMDs and Ultraboosts (I know I am not very original, but they are really cool), although I don’t own any as the ones that I like the most are never available! Nike Roshe Run are also really good, although there are so many other brands with amazing models. As always, I hope this post was useful for you all. Would you add any other kind of shoe to the list? I avoided sandals, which I also love, as they are not as basic as these ones in my opinion. I would love to know which shoes you own. Which ones have you bought recently? Let me know in the comments if you have any question too, I’ll try to give you the best answer or advice. Those boots got me feeling all kinds of ways!